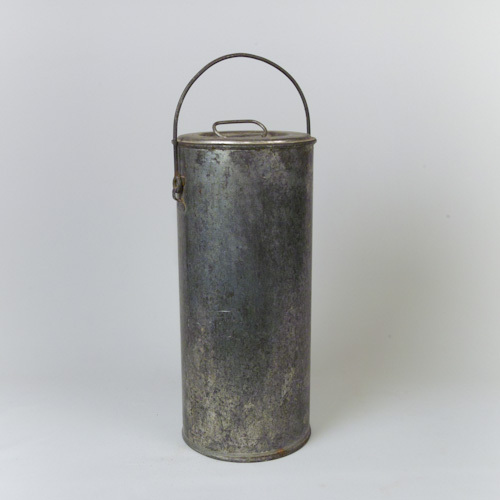 This vintage stainless steel cream pail is in very good vintage condition. 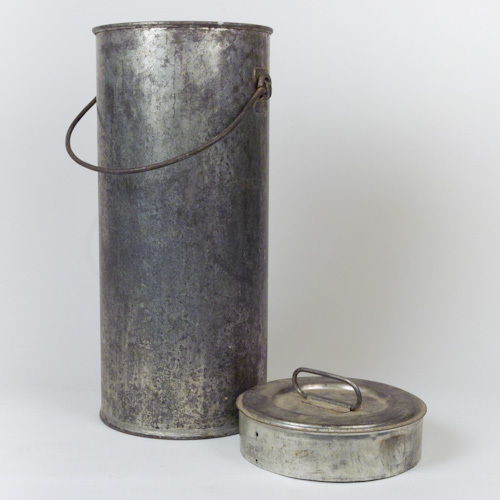 Utilitarian, this pail could serve numerous functions in the home while retaining its rural dairy or industrial steel good looks. Approximately 20″ tall and nearly 10″ in diameter, it could make a wonderful container for gathering or displaying gladiolus or other tall specimen flowers. The buckets handle is strong, swivels out of the way and is built to withstand heavy loads when necessary. Given its original purpose, without the lid, it would also be a great receptacle for wet or dry umbrellas next to the door. Nice storage for birdseed one can carry out to the feeders? Storage for kindling next to the fireplace? What about an aesthetic storage container for dog food or cat food? No doubt you will think of other uses for this fine vintage container with lid. No dents, some minute scratches, they are barely discernible masked within the beautiful patina.